An executive officer was left hospitalized by an angry husband and, to add salt to the wounds, fired Aug. 24 for floutingignoring a military protective order issued by his skipper while the command investigated whether the XO was in an unduly familiar relationship with a civilian employee. Cmdr. Vinny Wood, the XO of Trident Refit Facility, Kings Bay, Georgia, was removed from his post by Capt. Gunter Braun, the TRF's commanding officer, the TRF announced Aug. 31. Wood is being investigated for carrying on an alleged affair with a married civilian employee; he has been Wood reassigned to Submarine Group 10 at Naval Submarine Base Kings Bay., while an unnamed senior captain from outside the TRF investigates the alleged personal misconduct. The events that led to Wood's firing started when the skipper learned that his XO was involved in an unduly familiar relationship. Braun "thought it prudent, based on existing information," to issue a Military Protective Order on Aug. 21, said Mark Turney, TRF spokesman. The order specified that Wood was to have no contact with the protected individual. But Wood was with the married woman in the early morning hours of Aug. 23, according to a police report obtained by Navy Times. Her husband soon arrived; he referenced the protective order and taunts from both sides verbal threats by both parties quickly turned physical. The fight left Wood in the hospital for at least 24 hours. The fisticuffs left him He ended up with "a large contusion to his left eye, several knots on his head, an abrasion to the bridge of his nose, a small cut under his nose, and abrasions to both knees," according to the report. A beer bottle also was thrown through the rear window of Wood’s car. The sheriff’s deputy reported that he made contact with Braun from the hospital. The skipper confirmed that Wood had been issued a military protective order, adding that and said "the military would take appropriate measures in reference to the violation," according to the report. The command said it would be inappropriate to discuss specifics of the case while the investigation remains open, but said a primary goal is to determine the nature of the relationship. Wood did not respond to phone calls seeking comment.could not be reached for comment. While military protection orders are typically issued to protect a victim of domestic abuse or child abuse and to control the behavior of the alleged abuser, commanders also use such orders to prevent unduly familiar relationships deemed prejudicial to good order and discipline. In the case of a field grade officer, this includes any inappropriate relationship or fraternization with an enlisted sailor, subordinate or married individual, among others. A military protection order remains in effect until terminated by the commander. Violation can result in disciplinary action to include nonjudicial punishment or court-martial. Though he was named XO in April, Wood has been assigned to TRF since May 2012. He is a limited duty officer who enlisted in 1988 and rose to the rank of machinist mate first class before being commissioned. He was promoted to commander on Feb. 1. He has received surface warfare officer, submarine service and diver qualifications, and He has served on six ships and submarines. His decorations include two Navy/Marine Corps Commendation Medals and seven Navy/Marine Corps Achievement Medals. The Navy typically discloses the removal of command level positions — flag officers, CO, XO and CMC — within a day or two. When asked why it took seven days to disclose the action, Turney said the TRF "takes this action very seriously and reacted quickly to the situation. The press release was made immediately once the final decision and all subsequent chain of command notifications were completed." A senior and qualified officer within TRF has been tasked to fill the XO's seat until the investigation is complete. Wood is the second submariner fired this year. Cmdr. Tory Swanson, skipper of the attack submarine Mississippi, was fired Feb. 27 due to a loss of confidence in his ability to command. The decision was related to Swanson's on-the-job performance and operational decision-making, officials said. Staff writer Mark D. Faram contributed to this report. 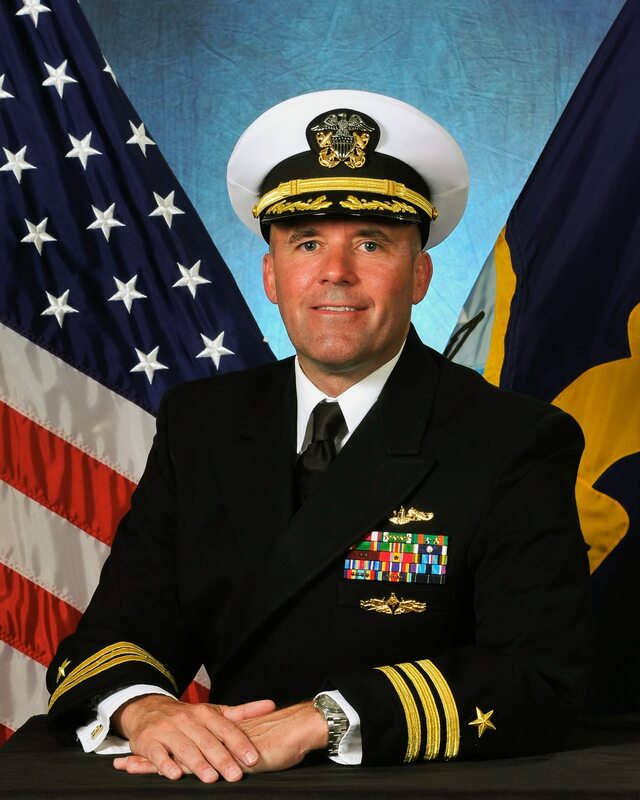 An executive officer was fired Aug. 24 for after he allegedly ignoring a military protective order amid an investigation into whether he was in an by his commanding officer as the skipper investigated whether his XO was in an unduly familiar relationship with a civilian employee. Cmdr. Vinny centJ. Wood, the XO of Trident Refit Facility, Kings Bay, Georgia, was removed from his postition by Capt. Gunter Braun, the TRF's commanding officer, the TRF announced on Aug. 31 commanding officer. Wood has been reassigned to Submarine Group 10 at Naval Submarine Base Kings Bay, while an unnamed A senior captain from outside the TRF investigates the alleged personal misconduct. The events that led to the firing of Wood, who reported aboard in April REWORDED BELOW ... HAS BEEN THERE FOR A COUPLE OF YEARS // LMB, started when the skipper learned that his XO was involved in an unduly familiar relationshipfraternizationwas told of an unduly familiar relationship. Braun "thought it prudent, based on existing information," to issue a Military Protective Order on Aug. 21, said Mark Turney, TRF spokesman. The order specified that Wood was to have no contact with the protected individual. "It is now believed that Wood violated the military protection order, hence the investigation," said Turney, who categorized Wood's removal as temporary pending the investigation outcome. The command said it would be inappropriate to discuss specifics of the case while the investigation remains open, but said a primary goal is to determine the nature of the relationship. Wood could not be reached for comment. While Military protection orders are typically issued to protect a victim of domestic abuse or child abuse and to control the behavior of the alleged abuser. However, commanders also use such orders to prevent unduly familiar relationships deemed prejudicial to good order and discipline. In the case of a field grade officer, this includes any inappropriate relationship or fraternization with an enlisted sailor, subordinate, or married individual, among others. A military protection order remains in effect until terminated by the commander. Violation can result in disciplinary action to include non-judicial punishment or court martial. Though he was named XO in April, Wood has been assigned to TRF since May 2012. He is a limited duty officer who enlisted in 1988 and rose to the rank of Machinist Mate First Class before being commissioned. He was promoted to commander on Feb. 1. He has received surface warfare officer, submarine service, and diver qualifications. He has served on six ships and submarines. His decorations include two Navy/Marine Corps Commendation Medals and seven Navy/Marine Corps Achievement Medals. The Navy typically discloses the removal of command level positions — flag officers, CO, XO and CMC — within a day or two. firings within 24 hours),When asked why it took seven days to disclose the action, Turney said repliedsaid the TRFfacility "takes this action very seriously and reacted quickly to the situation. The press release was made immediately once the final decision and all subsequent chain of command notifications were completed." Wood is the second submariner officer fired this year. Cmdr. Tory Swanson, skipper of the attack submarine Mississippi, was fired Feb. 27 due to a loss of confidence in his ability to command. The decision was related to Swanson's on the job performance and operational decision-making, officials said. But career news hasn't been all bad among bubbleheads. Cmdr. Anthony Grayson, who commands the attack sub Providence, in mid-August was named Fleet Forces Command's recipient of the Vice Adm. James Stockdale Award, the fleet's top leadership prize.